365 conkers, originally uploaded by Champignons. I think I got tagged somewhere along the line. Actually, I know, factually, I have been tagged, and tagged about 60 thousand times, tagged to display some interesting facts about me. Here are some facts. 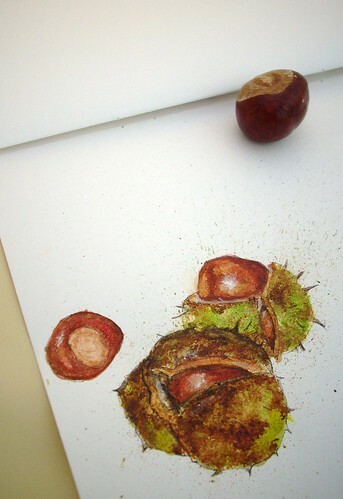 2) I was possessed of the sudden urge to paint conkers this week. 3) I have to admit that the main reason I am interested in conkers is my current love of marzipan. 4) In case you are not quite grasping the conker/marzipan relationship, when I was in Switzerland at the end of the summer, there was this amazing chocolate shop, and one of the things they sold was a chocolate conker surrounded by a spiky green marzipan conkercase. It was very realistic, but much more delicious. Every time I see one of these I'm thinking about marzipan. 5) That was the same conference that i achieved the academic highs of persuading one of the worlds leading oceanographers to cheat at a game I liked to call 'cheese hurling' so I won. We also made some other noted academics sing the song 'take a chance on me' by ABBA. 6) I end my facts of intrestingness with some words of advice I have discovered for myself this very day: Ask paypal a simple question and they will give you a simple answer. Sadly this answer will have absolutely no relevance to the actual question you asked,so you might as well not bother. There you go. 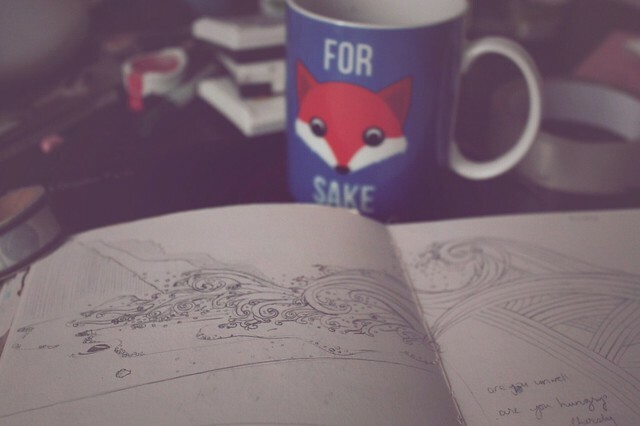 I consider my tagging duty complete and anyone that wishes to be tagged can consider themselves tagged.